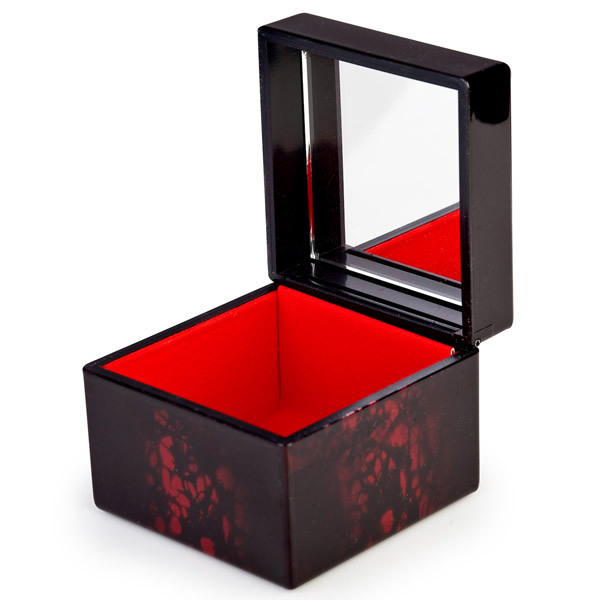 Exclusive to The Japanese Shop, the beautiful Butterfly Japanese Lacquer Jewellery Box is a beautiful rich deep wine red and black lacquer Japanese jewellery box. 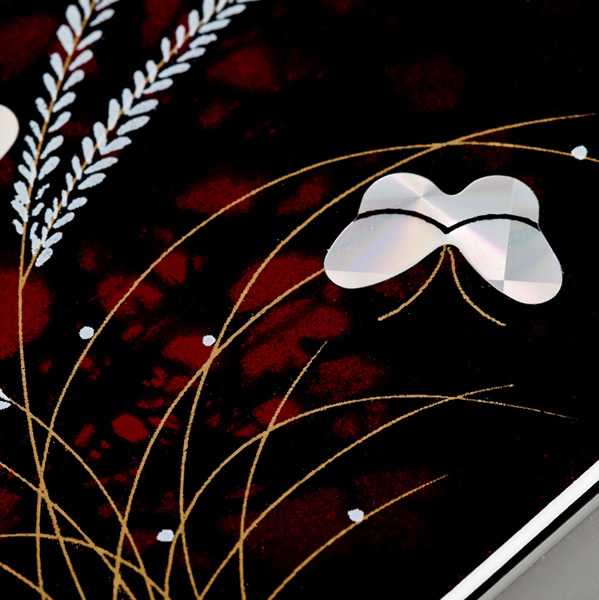 It features a delicate mother of pearl effect butterfly and floral design and opens up to reveal a red felt lined box and a mirror on the inside of the lid. 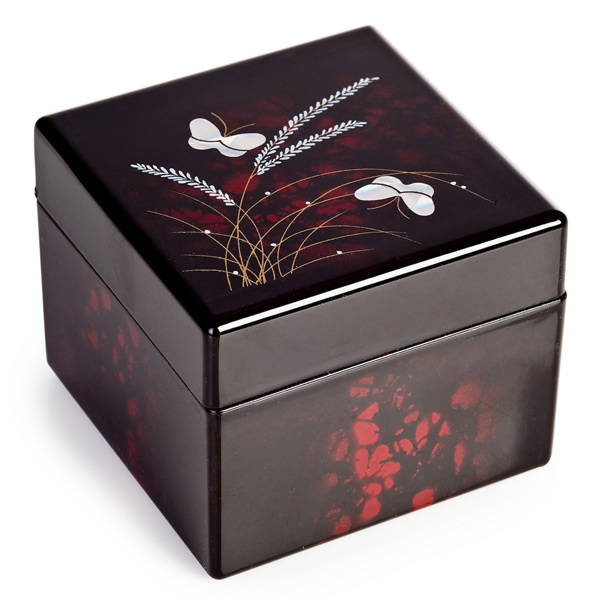 The Butterfly Japanese Lacquer Jewellery Box would be a very pretty Japanese gift for women! 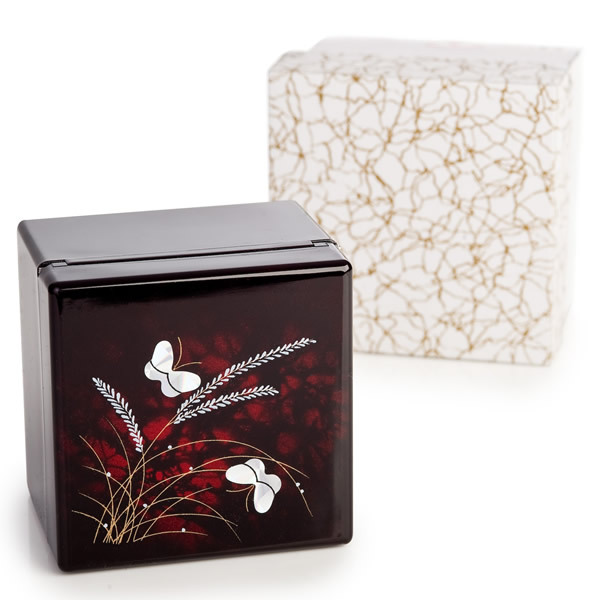 Buy your Butterfly Japanese Lacquer Jewellery Box online and have it gift wrapped free of charge, or visit us at our showroom for this and many more authentic Japanese lacquerware gifts! Hi, I just wanted to thank you so much for the all your help and the trouble you have gone to to ensure that not only the parcel (Butterfly Japanese Lacquer Jewellery Box) arrives in time but also the beautiful gift wrap. Thank goodness I found your shop, if only there were more like you that go the extra mile for your customers. I cannot wait to see the expression on my friends face because I know she will be delighted! This was bought as a Valantines gift and the lady in question adores it. Bought this as a present for my mum as she is always losing her jewellery. Delivery was outstanding and the box is Beautiful. She loved this item and thought it had cost a lot for than £20. I LOVE this shop! Bought as a present for my daughter. Delivery was prompt and the box was nicely wrapped and very well presented. I will definitely return to this shop again. Hi,I want to thank you because the package has just been delivered and everything is beautiful. My apologize for my bad English.